Previously-extremely-effective unmarked speed camera cars will be outsourcing to the private sector in France. Also, after a relatively long break, more migrant trouble in Calais. Super-bad news on the Evoque Convertible. 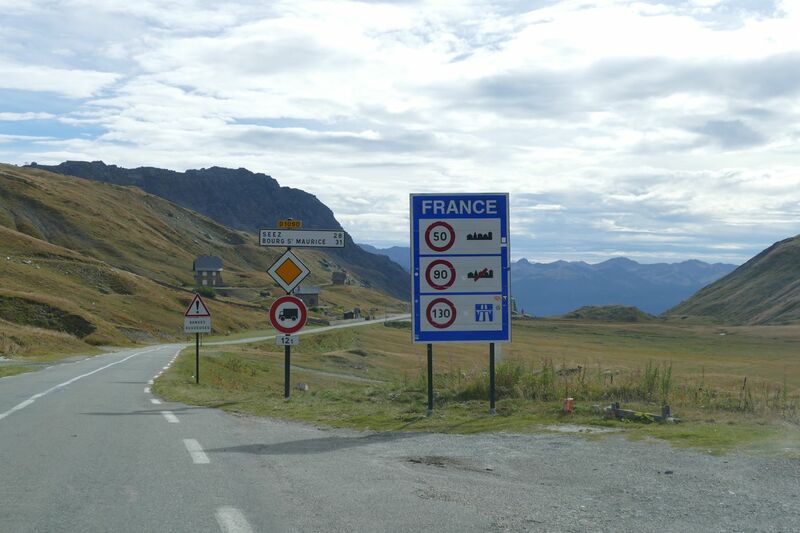 Warning about flashing other drivers in France. Traffic fatalities rising among foreign drivers in Iceland as traffic jumps on famous R1 ring road. Government outsources very effective unmarked speed camera cars. Former President, now Presidential hopeful, Nicolas Sarkozy was not quite on the money last week when he called for traffic police duties on autoroutes to be outsourced to the road operators. But it does turn out the current French government has been thinking along similar lines. Recently installed road safety boss Emmanuel Barbe does think there is a role for private companies in speed enforcement in France, though their role will not be limited to motorways. This would theoretically cover 260 out of the current total of 4124 radar devices in France. Barbe says unmarked camera cars do not require the skills of the two policemen it takes to operate them – one to drive and the other to set the camera to the relevant speed limit. As such it does not appear the new cars will be used to stop speeding drivers, merely to pass evidence onto the authorities. The move will therefore not affect drivers from the UK, Ireland and Denmark until new EU cross-border information sharing rules on traffic offences are adopted in these countries. Drivers of locally registered vehicles, such as hire cars, and drivers from other EU countries, should be aware however. As has been noted on many previous occasions, these unmarked radar cars have proven highly effective in reducing road deaths in France. In the months following their original introduction in March 2013, fatalities fell by up to 30%. However, the effect quickly wore off as drivers apparently realised there were relatively few on the road. March 2014 saw a correspondingly large increase in the number of road deaths and is at least partly responsible for the recently yo-yoing road safety statistics, called a crisis by some. Interestingly, this new role for private companies was identified in the now landmark ‘Inter-ministerial Meeting on Road Safety’ held in September, for the first time in four years, and chaired by Prime Minister Manuel Valls. It was Valls who introduced the unmarked cars during his stint as Interior Minister. Fortuitously he made the jump to Prime Minster literally a few days before the first statistics showed their effect had disastrously worn off. Sarkozy also made his name, and as Interior Minister, by introducing the first radar trap in France, on the RN20 at La Ville du Bois, south of Paris, in 2003. Update: Ecology minister Segolene Royal attacked Sarkozy’s intervention in an interview on Sunday, saying delegating speed controls to the motorway operators ‘is not feasible in the context of a Republican state’. However, that still leaves Securite Routiere some wiggle room according to @Autoroutes, as long the authority is given to ‘private providers’ or Gendarmerie reserves. Update 7 April 2016: it was confirmed today that the privatised camera cars will go into service in January 2017. According to Le Parisien 83 percent of drivers are against the idea while 75 percent think it is just revenue raising – however Emanuel Barbe says the operators will not have quotas, or be paid per speeding ticket reports The Connexion. Budgets apparently only allow the current crop of 320 camera cars to operate for one hour each day, though they nabbed 1.5 million drivers last year. 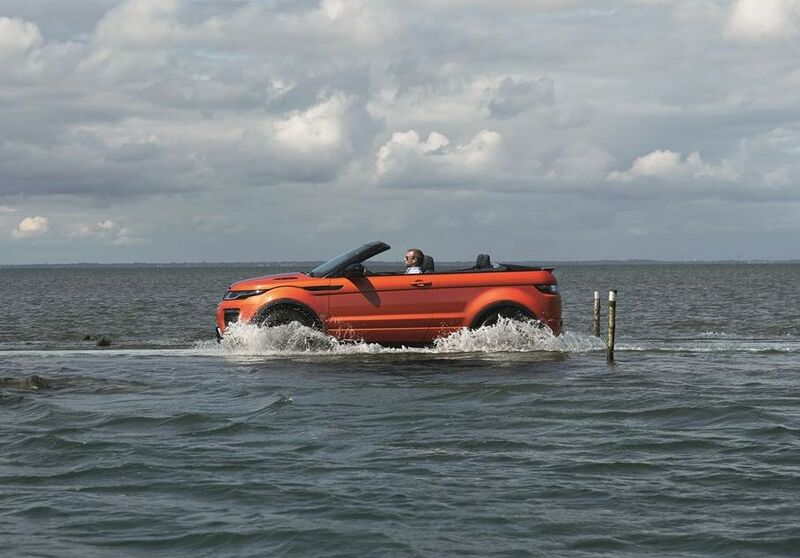 First sight Range Rover Evoque Convertible: it weighs a very substantial 270kg more than the hard top version. The new two litre Ingenium diesel engine is already down by 10bhp compared to the current motor resulting in a 0-60 time for the Convertible version of around ten seconds. There is a 240bhp petrol engine available but at our 30,000+ miles per year it is not feasible. This is all most likely a deal breaker for us. Shame. roundup: MIGRANT CRISIS. Sixteen police were injured when a group of up to 200 stone-throwing migrants blocked the N216 road into Calais port late last night, the first disruption in two weeks. Order was eventually restored at 01:00 after 30 teargas canisters were deployed according to local reports. Mayor Natacha Bouchart endorsed a call to deploy the army having made the same request late last month. Eurostar later reported delays due to ‘people near the tracks in Calais’. Meanwhile, a truck driver will not face any charges after 27 migrants escaped from the vehicle as it arrived at a pharmaceutical company in northern Kent on 12 October reports Kent Online. Drivers (and their employers) can be liable for a fine up of up to £2000 per migrant. No further details currently available. FRANCE. Drivers who flash other drivers to warn about police ahead could be inadvertently helping criminals – and even child abductors – to escape warns the Gendarmerie (via The Connexion). ICELAND. Fatal accidents among foreign tourists are on the rise reports Iceland Review, and mainly on the roads. Of the seven overseas visitors who have died so far this year – already more than twice as many as last year – five were killed in traffic accidents. Drivers catching wheels on the side of the road in icy conditions was previously noted as a major cause of foreign driver accidents. At the same time, traffic has seen a surprise jump on the island’s famous R1 ring road, up 12.5% last month (and 36% in Eat Iceland) and 5.4% this year so far overall says Iceland Magazine. The coastal R1, 832 miles long in total, which celebrated its fortieth birthday last year, is one of Iceland’s biggest draws. See this from The Guardian.